We all know the book mental game of baseball. What about the people within the baseball community who are aspring to take the torch? Well, we have one of those torch bearers with us today ready to share with us what it was like working closely with a mental baseball expert like H.A Dorfman. 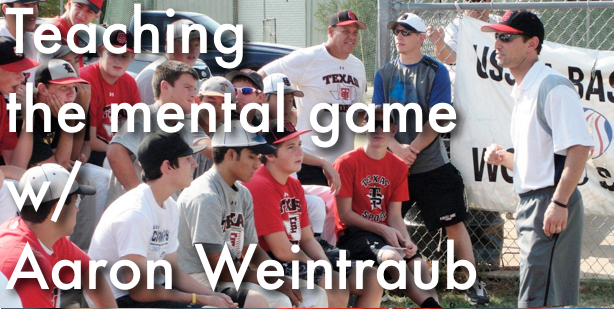 Aaron Weintraub joins us to discuss mental toughness and the importance of having a plan when preparing to effectively apply the mental game to your baseball career. Enjoy this interview. Aaron shares some interesting bits of baseball wisdom nuggets! The biggest misconception is that people think you only need a mental skills coach when you have a problem. It’s really for any athlete who is not as consistent as he wan’t to be.